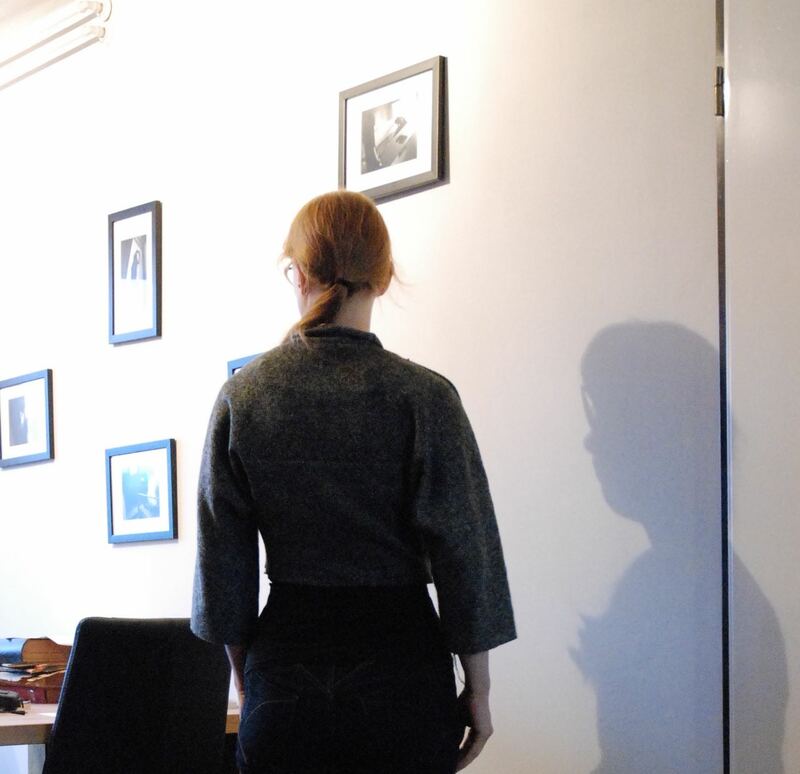 Today, I finally had a chance to work on that jacket pattern. In your comments to my previous post, some people asked about the pattern so I thought I would show it to you. When working on the alterations I had described, I also kept thinking about making a real raglan sleeve version. That might make the acute angle between the lower edge and the bottom of the sleeve a bit more natural. I ended up drafting both. I will make a muslin of each and see which one I like best. 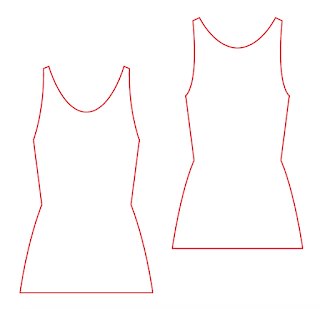 This is the old pattern piece for the front (all pattern pieces are without seam allowances or anything like that). See that narrow, straight collar piece? That was my problem. I can't show you the old back-and-sleeve piece because I re-used it to make the new version. 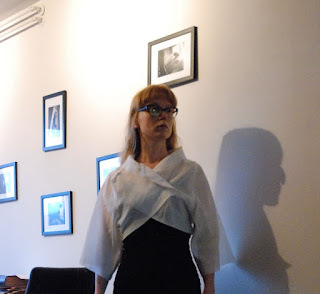 This is the new half-kimono-sleeve version. I you look closely, you can even see where I added width to the sleeve. 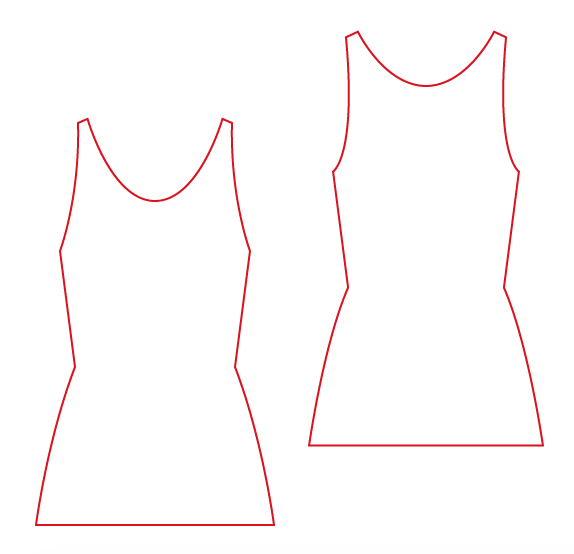 I also added so width to the bottom of the side seam to compensate for what I took away on the front pattern piece (where I needed to remove some material at chest height but wanted to keep that curved line). 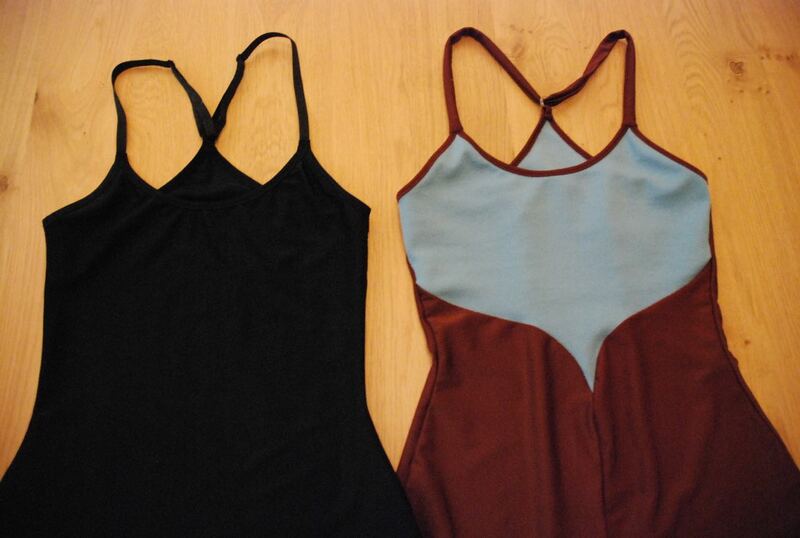 To the right is the new front piece, with above it the under collar. 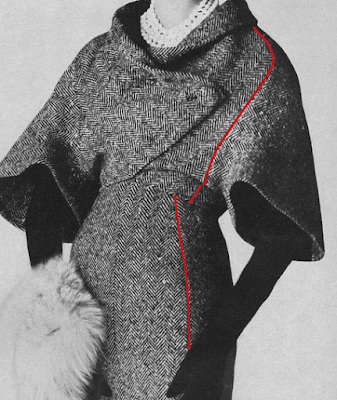 At far right is the collar and front edge facing and the back neck facing is that little C-shaped piece at the top. This collar was drafted using the full instructions for a tailored shawl collar. 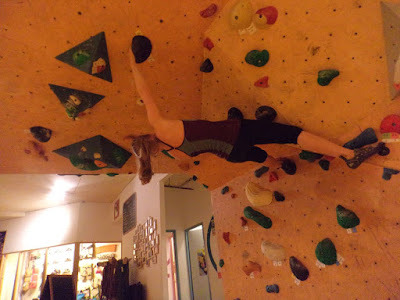 And obviously, it was drafted on a much wider neck ring than before. And this is the raglan sleeve version. I used the same collar pieces but completely re-designed the body around it. 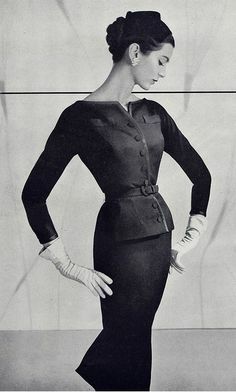 This variation has a very small back piece (which, unfortunately, refused to stay flat on the floor), a front piece which does extend under the arm and a huge one-piece raglan sleeve. 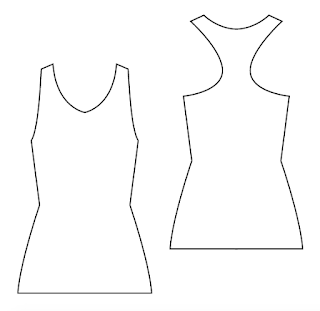 Pattern makers among you will know that a traditional raglan sleeve for a woven fabric is normally cut in two pieces or has a shoulder dart. In this case, with the odd shape of the jacket and the tiny sliver of material at the front shoulder, I thought I could get away with some creative messing around. I turned it into this: A one-piece sleeve without shoulder shaping. We'll see how it works in the muslin. I had hoped to also finish the muslins today but, as so often, time was passing faster than I thought. At this moment, I really don't know which option I will prefer but both are fairly approximations of the design in the photograph. Obviously, I should have made a toile. 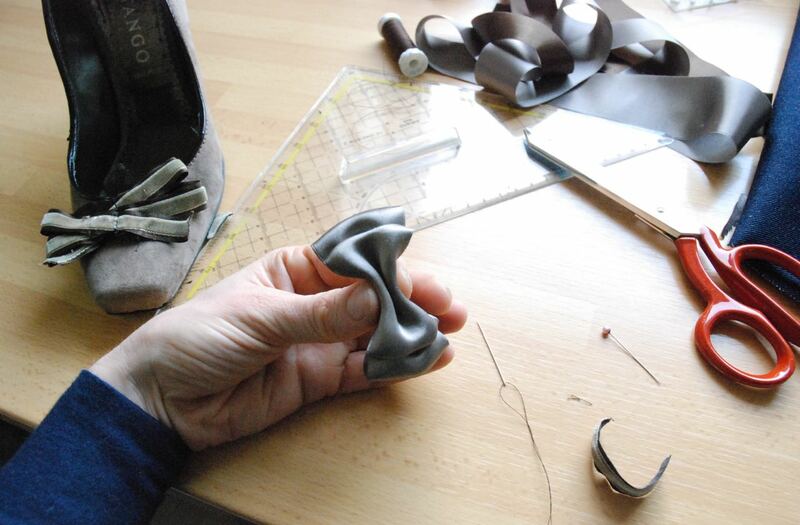 Such an unusual shape, randomly drawn with just some reference to the sloper... No guarantees of success. At all. But I had more fabric than I needed anyway and it was cheap. As cheap as anything I might use as muslin. So, I just went for it. 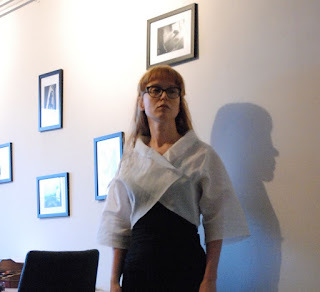 I cut both dress and jacket and just started sewing them. The dress will need some serious tweaking too but that mostly comes down to taking in the hip curve. This is what the jacket looks like. It is not without some good points but on the whole... bleh. 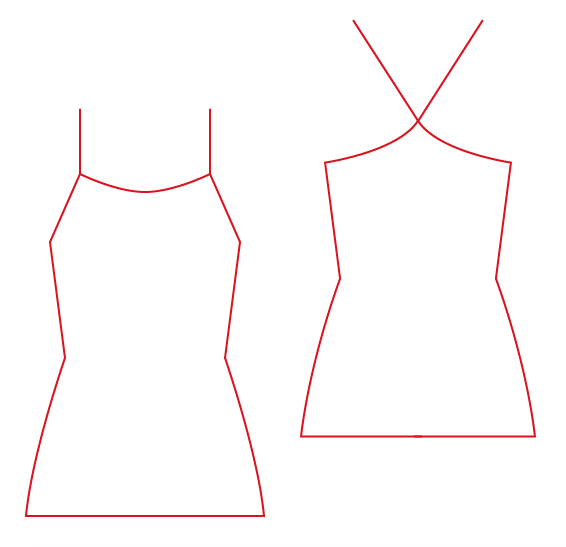 The main problem is the neckline. 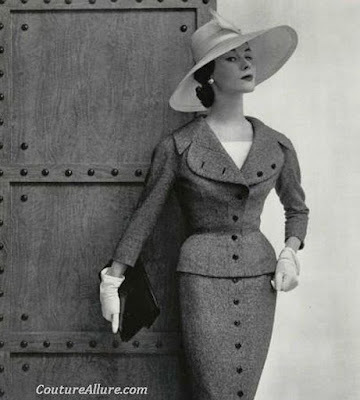 High and tight necklines are quite period correct for the 1950's but this garment shouldn't have one. And I've never been a big fan of that particular feature anyway. I may or may not have placed the button a bit too high. I'm not sure but I really think it is above the bust point on the model as well. I may lower it a bit but I don't want to put it on the bust point. 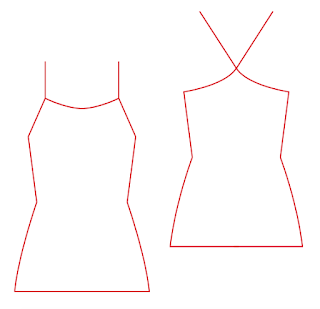 The real issue it the cut of the neckline itself. It should have been a LOT wider. 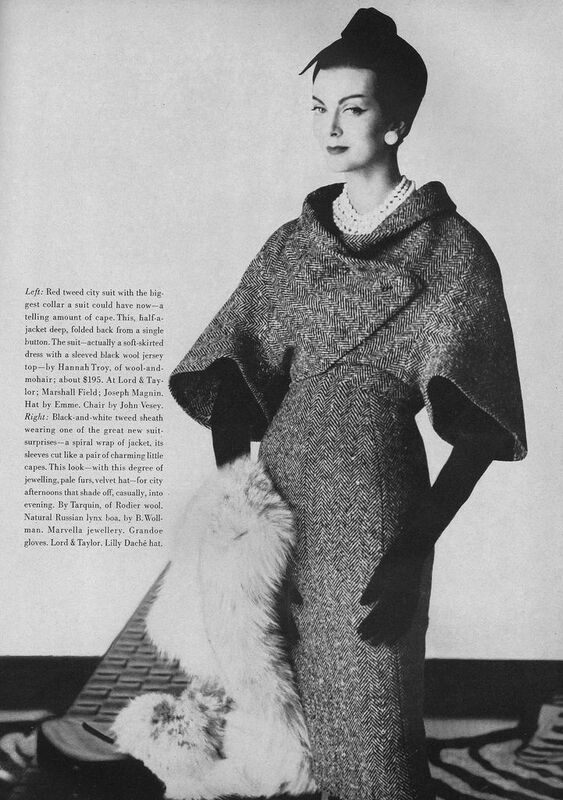 And I should have drafted the real shawl collar after all. A fairly wide one with enough room in that outer edge to roll over gracefully. 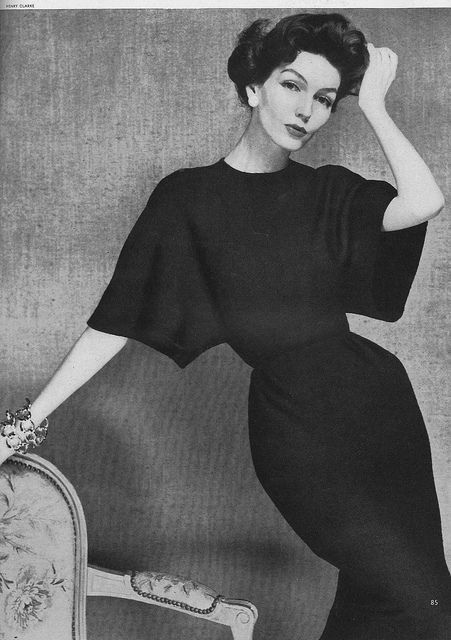 Then there are the sleeves. Although mine are wide they are nowhere near the statement of those in the original picture. 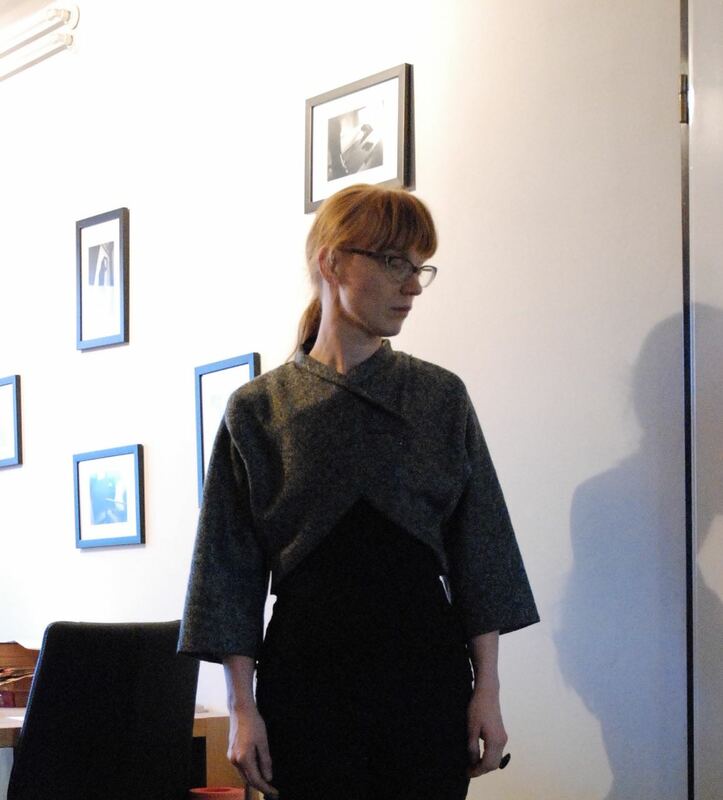 I thought I couldn't really make them any wider with the kimono sleeve like curve under the arm. Now I look at the picture and see that there hardly is a curve there at all. There's a very short vertical bit and then there is the bottom of the sleeve. I can make that. 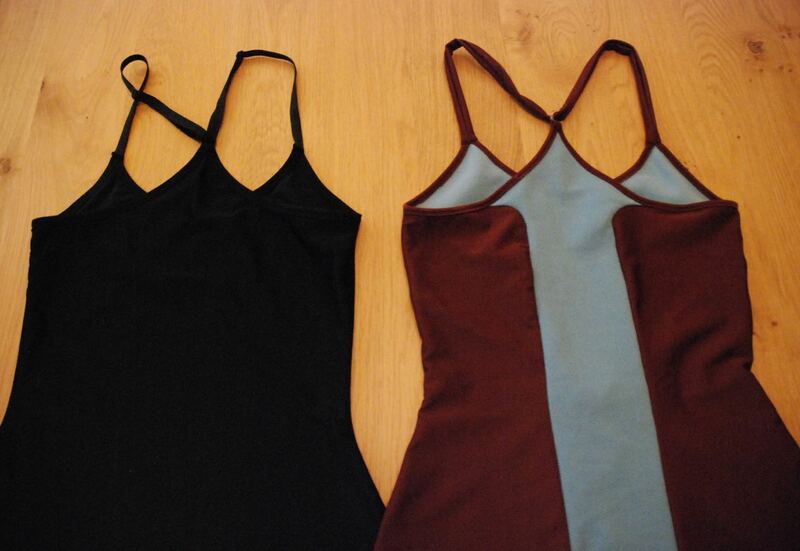 And then, there is the bodice itself. I had noticed the forward tilt of the sleeves in the picture and guessed it might be achieved by taking in on the front seams. I didn't really know how to draft for it right from the start though. I think I have plenty of clues to try and alter the pattern. Or rather, make a new one using the old one as a starting point. And this time, I will make a toile. It's just a shame I don't like wearing those tight necklines otherwise I would call this a wearable muslin. Especially because I already made a perfect bound buttonhole. 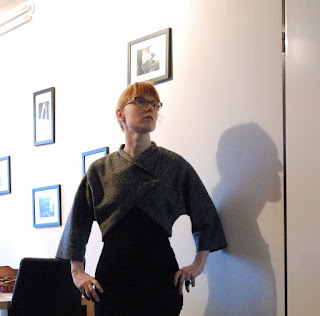 So the plan was to make a a fairly simple top, inspired by those vintage cardigans... And then I changed my mind. 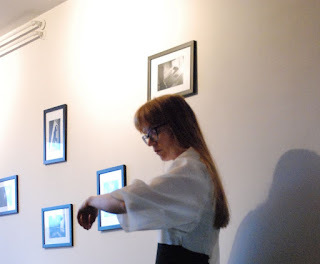 Those two last two outfits I added to Thursday's post were just too tempting. 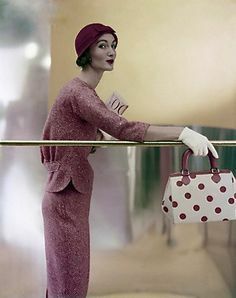 Unusual, partly freeform, clearly 1950's but completely different. I'm going to make my version of this suit. I will use this sort of tweed-effect knit which I bought a lot of last year (and used here, here and here) which should make it a bit more comfortable than the original, woven, herringbone tweed. I don't really have such occasions in my normal life, nor any of the accessories. That won't stop me from making this suit though. Intriguing as the description is, It don't think it is making any sense at all about the construction of the jacket. A "spiral wrap"? 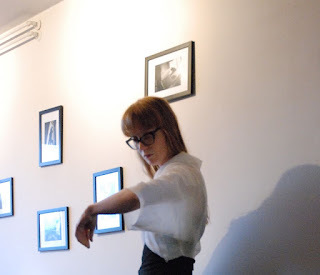 Sleeves cut like "charming little capes"? It's a bolero jacket with sleeves which look like raglan sleeves at the front. As usual, I am drafting my own pattern. But this time, I thought I would try and talk you through my considerations about the design. 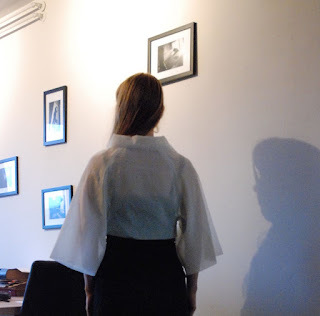 First, I had a look at the visible seams: One side front seam in the dress, curved seams which form side seam and shoulder seam in the jacket. 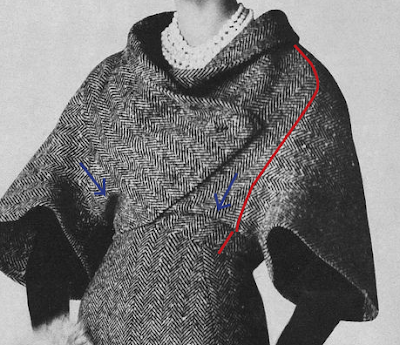 These lines (those the blue arrows point at), which seem to break up the jacket, are just folds. 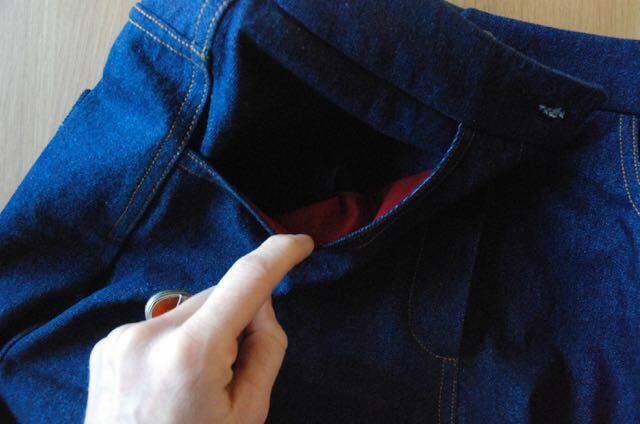 They are caused because the bottom edge of the jacket is closely fitted. They stay in place while the rest, which is much wider, moves about. 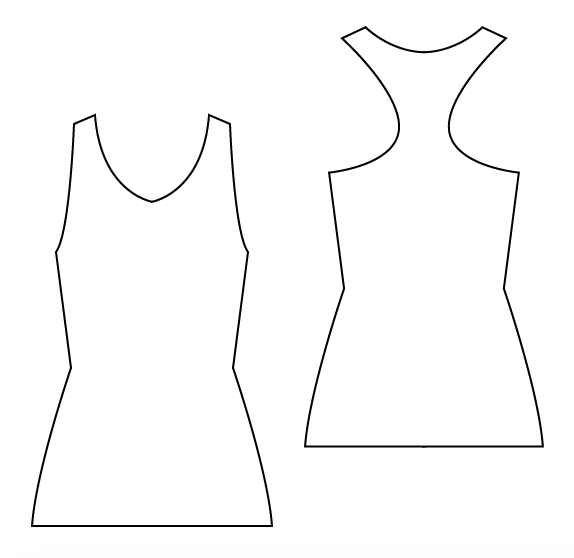 To avoid too much bulk and warmth at the chest and shoulders, I want to make the unseen upper part of the sheath dress from a thin black cotton jersey. 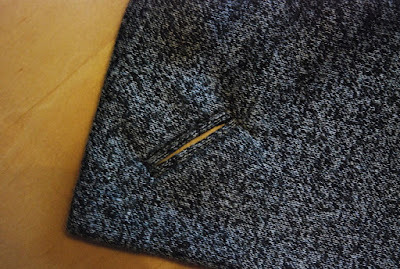 The rest of it, a skirt and mid-riff piece will be made from the tweed-like knit. Based on that seam in the picture, I decided to make it a six panel skirt. The original may have been a princess seam sheath, and this will look like that. It will also work better in my fabric than darts. 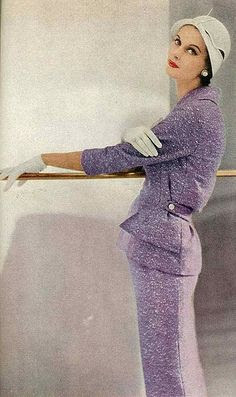 It should be a very fitted dress with some ease for walking added by flares at the back seams. Of course, the real challenge is the jacket. I'm pretty sure it is completely symmetric and that collar is so randomly folded that I'm sure it is just a simple, straight piece of fabric, turned over, not a carefully tailored shawl-collar. 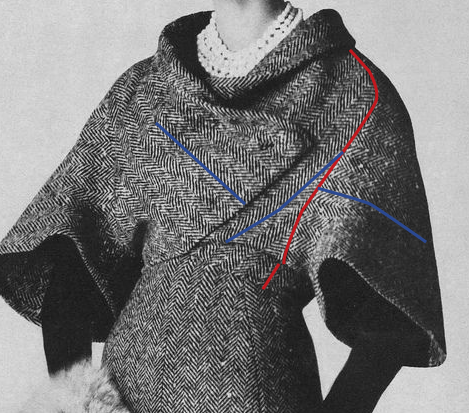 To make sense of the jacket, I studied the grainlines. 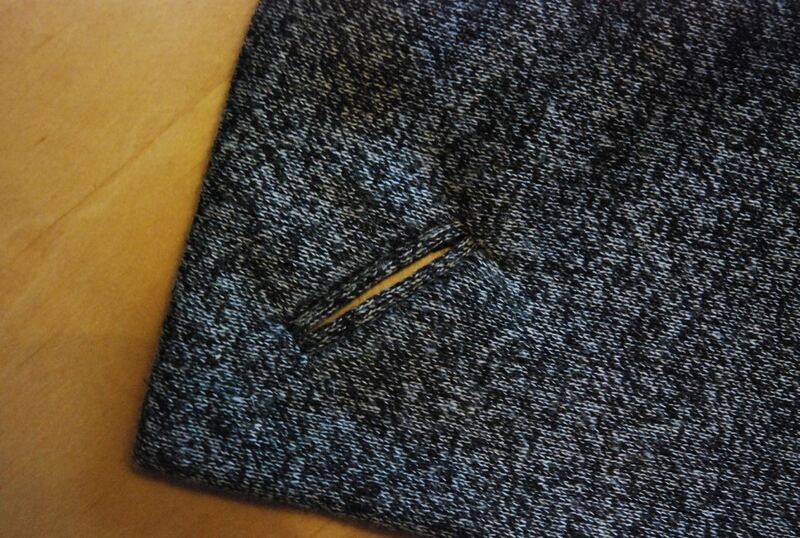 The original fabric is a large-scale herringbone tweed so the grainlines are pretty easy to see, even in the picture. 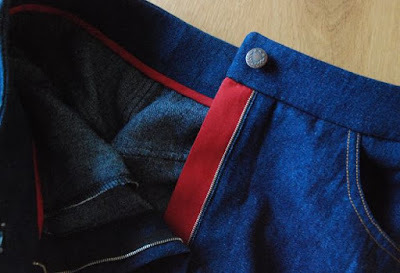 These blue lines follow the straight grain in several parts of the jacket. It looks like the edge of the collar is on the straight grain line, with the bottom front of the jacket at a 90 degree angle. 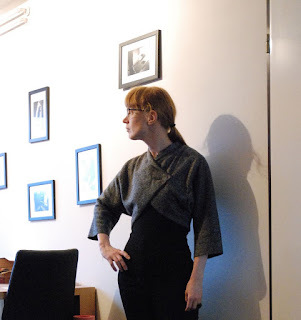 The sleeves meet the front pieces at an angle. That suggests they are not raglan sleeves. You would normally cut those with the straight grain along the center line of the sleeve. These sleeves are almost at a straight angle to that. 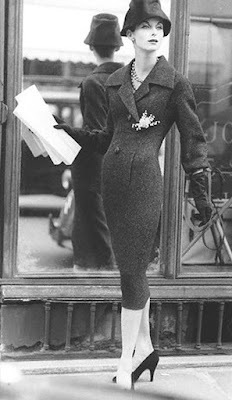 I think the sleeves are, in their entirety, cut on the back of the jacket. That would put the front sleeves at such an angle. 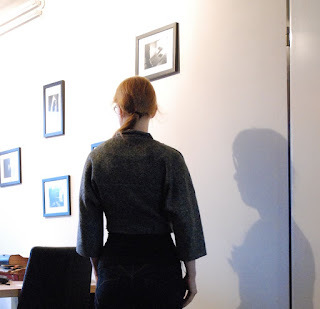 I started to draft the jacket using my kimono sleeve sloper but It pretty much drew it free-hand based on those observations. It's an experiment and that's fine. As usual, I had a long list of things I wanted to make this winter. Most of them pretty dresses. And some suits. And I still try to come up with sewing projects which can be made from stash fabrics, and not all the plans fit with that. Somehow, it seems like I need more tops again. 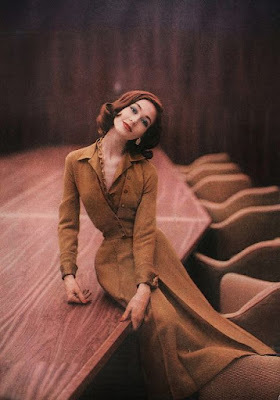 Some nice ones, with a bit of vintage flair. And preferably some room growing room at the upper back. 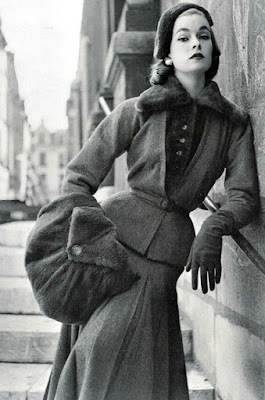 I have turned to Pinterest for inspiration. A couple of months ago, the site added the option to follow subjects. That made it really ease to find new images I like without spending a lot of time there. So, even though I haven't uploaded any pictures from my own vintage magazines for months, my amount pins has grown a lot (collected mainly on this board). 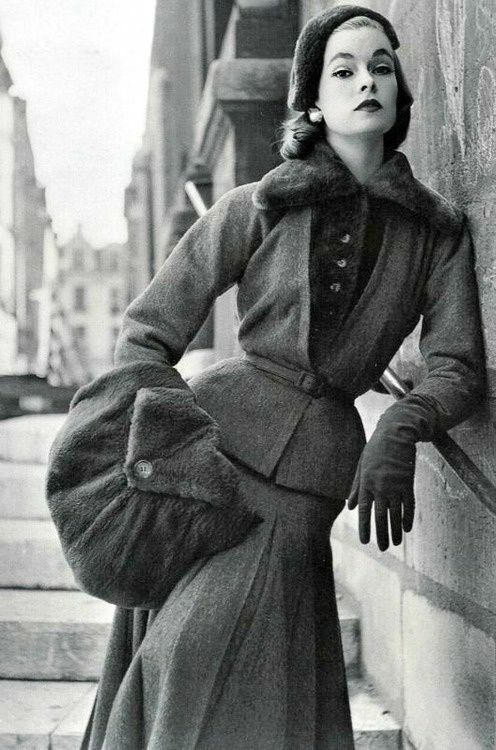 And then there are all those beautiful hyper-tailored 1950's jackets which might be made in knit to make them more comfortable. 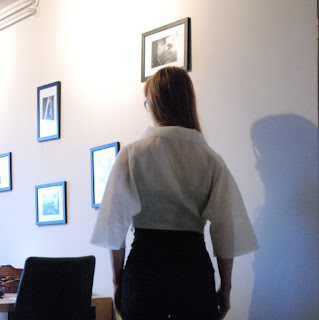 And the styles with blouse-y back panels might be very useful for me right now. 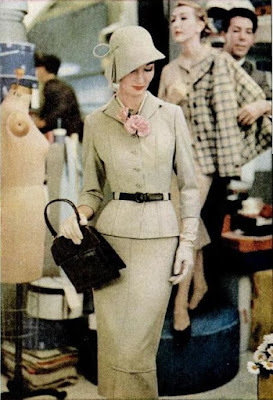 I don't just follow fashion- and sewing blogs but also a couple of history ones. 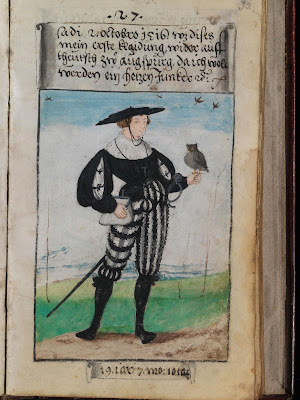 On the (excellent) History Blog, I found a post today which will interest many of you. 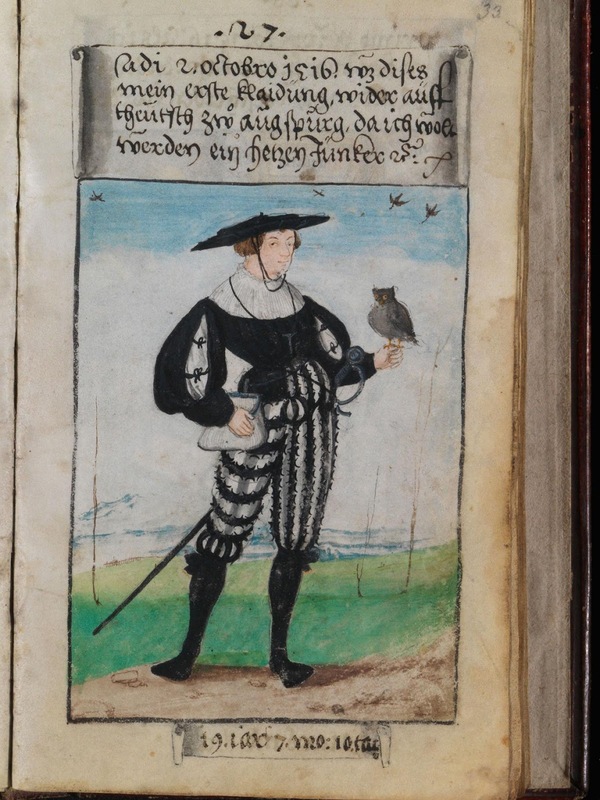 It's about a book made by a 16th century accountant with a flair for fashion and it records his outfits over his lifetime is lovely coloured images like this one. And there is a video about the recreation of one of the outfits. or shoe-repair... It both doesn't really sound like my kind of thing, does it? And yet, I just "repaired" a pair of shoes using a ribbon. The right shoe had lost its suede bow. It must have happened while I was walking around in town but I had not noticed. Of course, it's a shame because although I've had these shoes for a couple of years, they are still good. And obviously, I am not the kind of person who wants to throw out a perfectly good item just because a piece of decoration has fallen off. 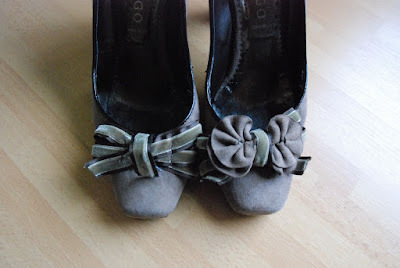 So, on Monday, I looked for, and found some ribbon in a colour which matches the shoes. 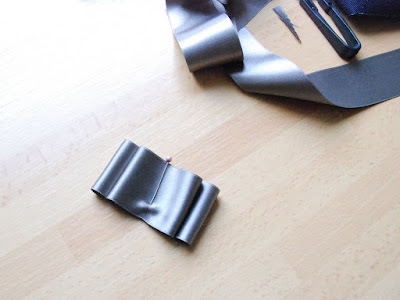 In fact, I bought two kinds of ribbon, the other one matching the darker trim. When I started playing around with the shoes and ribbon though, I quickly decided to go with just the taupe colour. 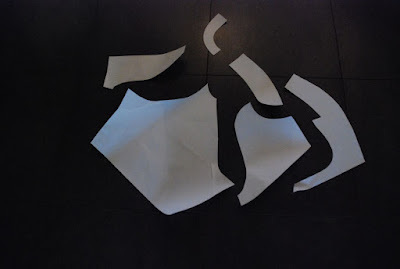 I folded pieces of ribbon into a double bow and sewed down its center line. Then, I folded the bow in the middle and stitched the folds. And then, I tried to sew it under the now-empty loop of ribbon on the right shoe. 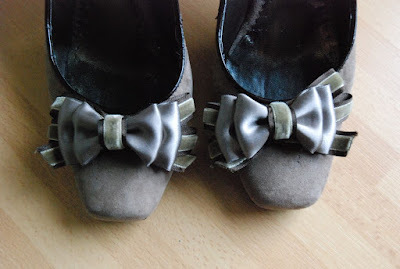 When I tried it, that whole bit of ribbon came out so I just trimmed it down to a more convenient length, sewed the join to the back of my bow and then tacked the whole thing on the remaining ribbon bow on the shoe. With the left shoe, I had to pull out the original bow first. With it gone, it became clear that the ribbons on the shoes were not that symmetric. I didn't want to try and change that. Those ribbons were partially glued on and had bits of machine sewing holding them in place as well (I had noticed that before, it was a big reason why I didn't try to remove the trim altogether after I lost that bow). I've made new jeans! 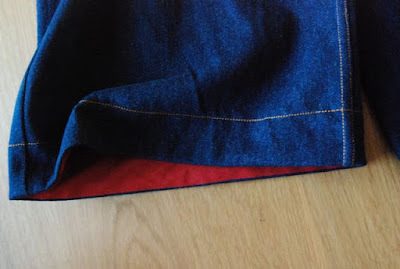 Remember that 1.10 meter piece of denim which I wanted to sew from? Well, I got a lot of nice suggestions and I thought about it for a bit longer. 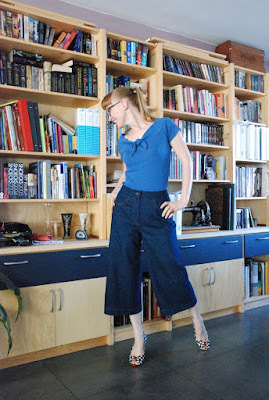 I even started to draft those 1970's style flares, only to realize that I really need more fabric for a style like that. 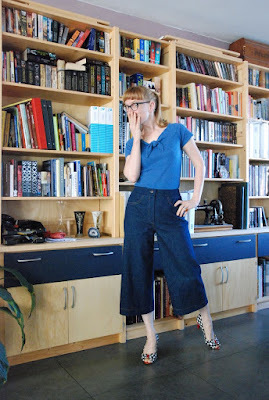 And then, I had another look at the past summer's fashionable culotte styles... And noticed that the jeans ones had more fitted, trouser-like shapes that those in more drape-y fabrics. Shapes that would work for this amount of fabric. So, I made these. 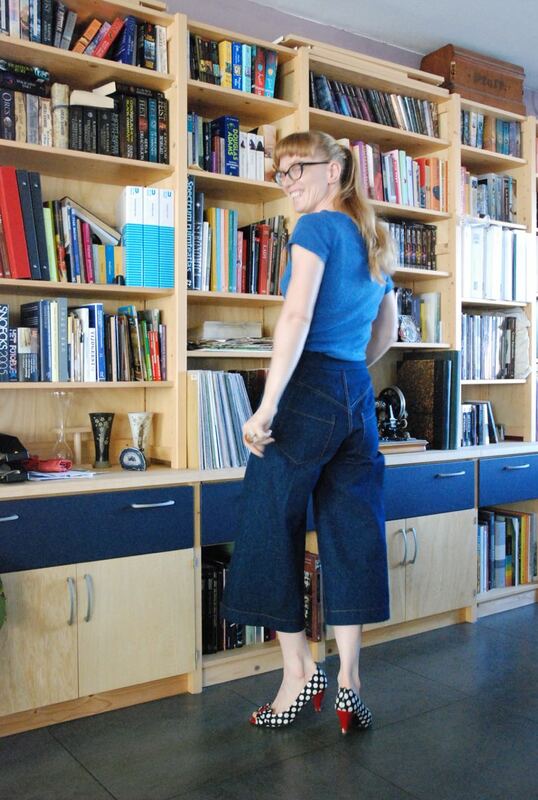 As a pattern maker, I would say these are not culottes. I drafted them based on my trouser block so I don't really think so. 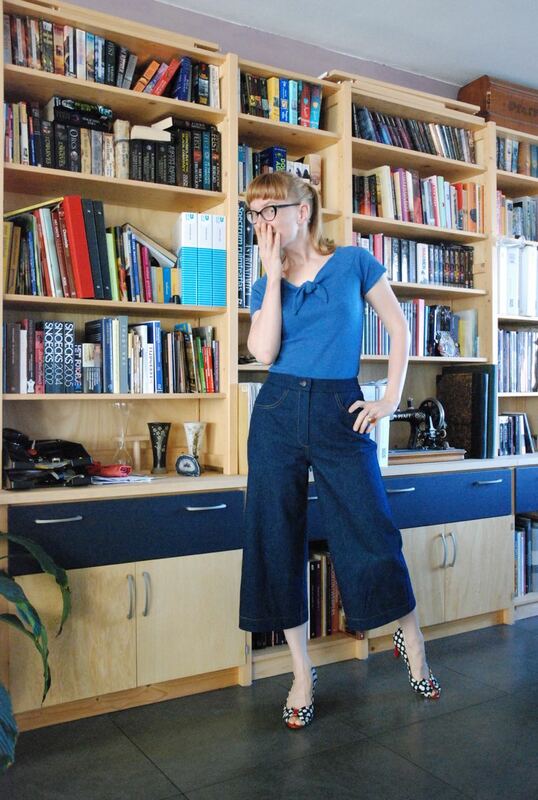 It is also fairly fitted at the hip and crotch unlike a traditional culotte draft. I considered using my loose fitting trouser block with the slightly lowered crotch (which I used for my retro jeans) but this fabric is fairly thick and heavy so I went with the normal sloper instead. The pattern is fairly simple. 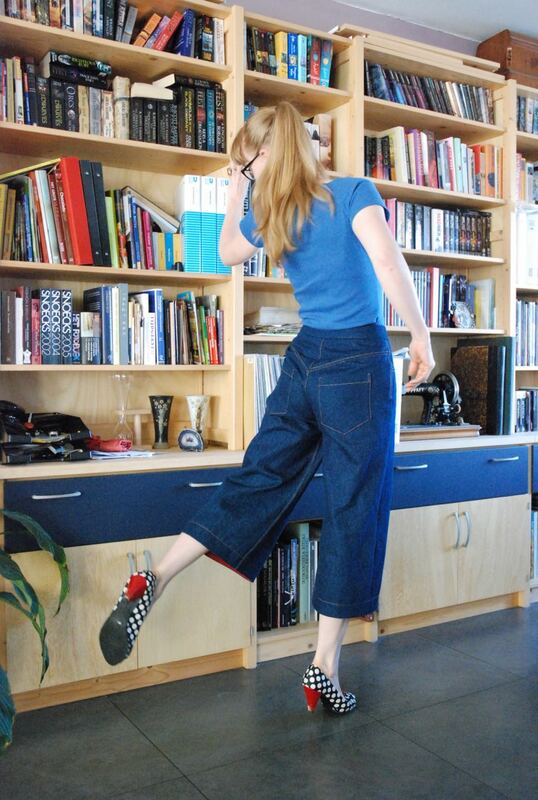 It has classic jeans details at the top: Back yoke, scoop pockets at the front, patch pockets at the back. The legs reach to 24 cm below the knee and they are completely straight from the hip down. 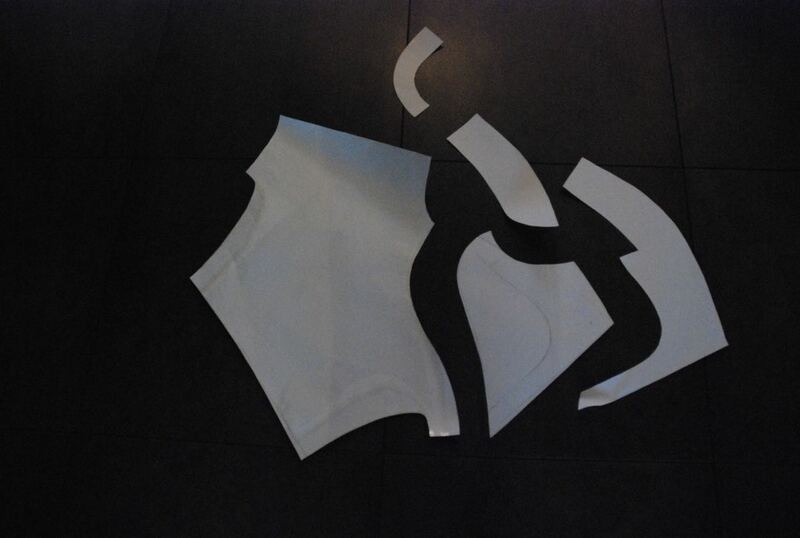 I just managed to cut all the pieces from those 1.10 m of fabric. 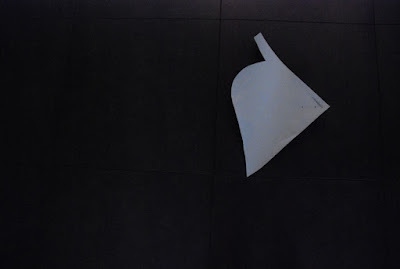 With only very small strips of fabric left over, there was not enough for a fly shield. So, I cut that from red cotton instead. It is thin cotton so I interfaced it with fusible cotton. To make that bit of red make sense, I decided to use the red cotton for all the unseen little details: Pocket bags, the binding on the waistband facing and the hem facing. I'm really happy with these jeans. They're fun to wear. Today, it was still fairly warm but I can also see myself wearing these with boots and a jacket in the coming winter.